We like to ensure that your moving process is smooth from start to finish. Your first contact with our company will be with our friendly Moving Consultant. 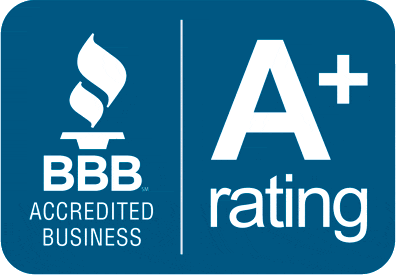 Upon your first call, we will price your move based on your destination, your list of items, any needed packing materials or packing services, in addition to any other factors associated with your move. Local moves are done based on an hourly rate. We offer 2men, 3men, 4 men teams and up. Billing commences once the moving crew arrives at the pick-up location. Customers are billed in 15-mintue increments, with the exception of a flat rate, which is a binding agreement. Travel time is only calculated from pick-up location to destination location. Most importantly, please note that travel time is double per PUC regulations. For instance, if the driving time is 25 minutes, the total billed time will equate to 1 hour because we bill on the quarter-hour. However, if your travel time is only 5 minutes, you will be charged our minimum travel time of 15 minutes. Overtime rates may be assessed if time exceeds 8 hours in one work day (per customer/per move). Omega shall not be responsible for damage to items requiring special instructions if the customer fails to provide such instructions including, disassembly or assembly of said items and any special preparation required. Please note that we will request the customer’s signature for a waiver, if said should occur. Omega will not connect/disconnect dishwasher, laundry washer, laundry dryers, ice makers, etc. Any assistance we give only as a courtesy. Water and drain connections are the responsibility of the shipper, please note that we will request customers to sign a waiver, if said should be requested. 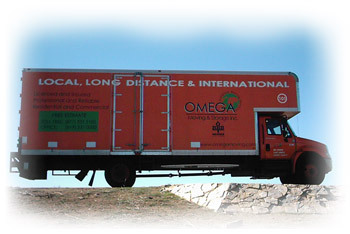 OMEGA Moving & Storage, Inc., offers complete packing and preparation services. We also provide free Storage in Transit for our interstate and long distance intrastate (moves within California). We take the extra time and care needed to ensure a safe long-distance journey for your valued possessions. 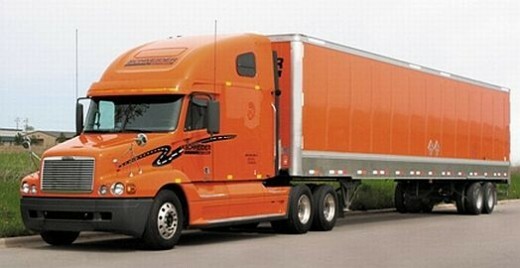 We at OMEGA Moving & Storage, Inc., offer complete packing and preparation services. We also provide Storage in Transit for our customers that are moving long distance. We take the extra care needed to ensure a safe long-distance journey for your valued possessions. 50 states including but not limited to Hawaii and Alaska. Here at OMEGA Moving & Storage, Inc., we offer complete packing/preparation services, and also provide Storage in Transit for our interstate customers. We take the extra care needed to ensure a safe long-distance journey for your valued possessions. 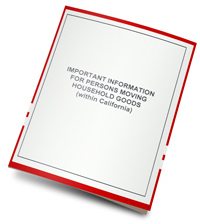 Booklet required for long distance movers (moves out of state of California). Click on image or here to download. 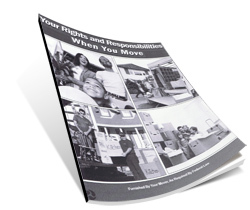 Download your “Ready to Move?” Moving Checlist here. We do offer Binding, and Flat Rate estimates. Long distance costs are based on the estimated weight or volume of your shipment. If your move is based on the weight of the load then the truck will be weighed a government regulated, 3rd party weight scale. In most long distance moves, an on-site estimate is recommended to insure cost accuracy. Please note that if your destination is not ready at the time of pick-up, we are happy to store your goods in our safe and secure storage facility as long as you need. You may qualify for up to 30 days FREE!.